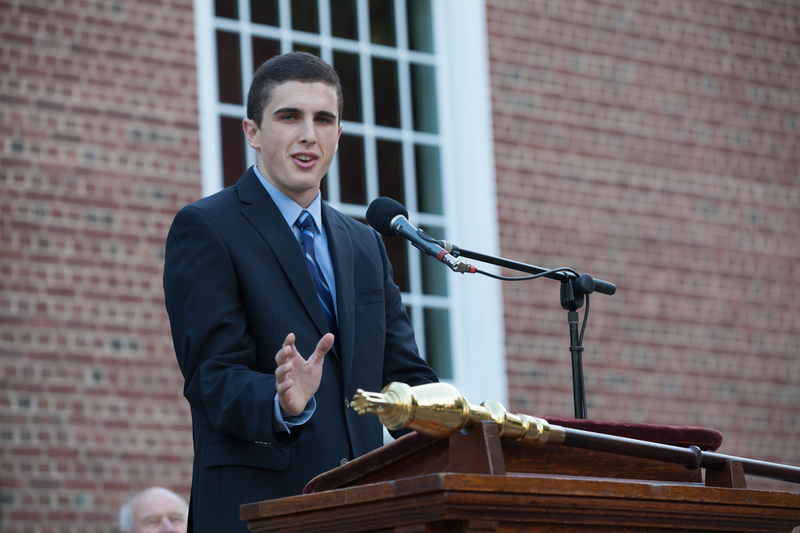 Editor’s note: Julius Pryor III presented the keynote address for Williston Northampton’s 174th Convocation on September 12, 2014. See the full video of Convocation here. Welcome to convocation. This speech is divided into three sections—the three S’s if you will—Socrates, “Success,” and Summing Up. From my humble perspective, the answer to that existential question — What course of life is best? — is that we acknowledge the convergence between our own personal pursuits and the moral obligations that we owe to others for our privileged positions as members of the Williston community. That convergence between our personal and moral obligations is, at least for me, where the answer to the question – What course of life is best? — lies. In addition, our answer to the essential Socratic question inculcates us with — as Mr. Hill likes to remind us — purpose, passion, and integrity. 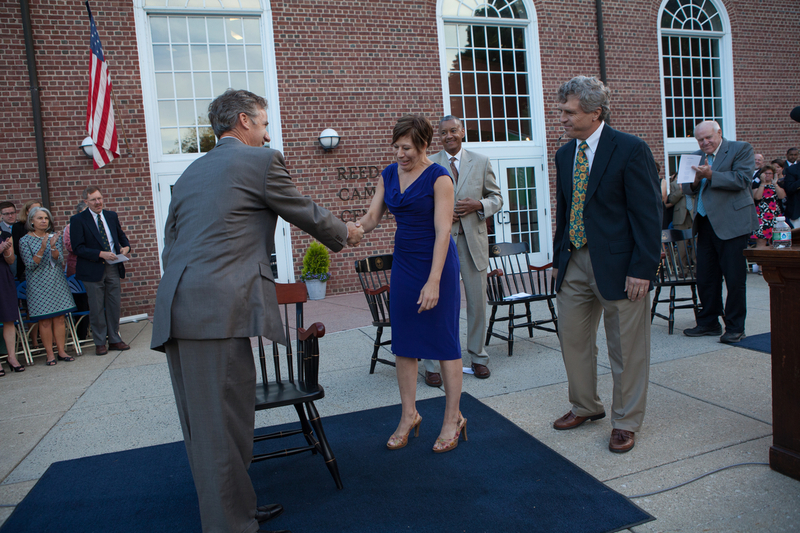 Editor’s note: Dean of Faculty Peter Valine presented the Hagedorn Chair to Sue Michalski during Convocation on September 12, 2014. 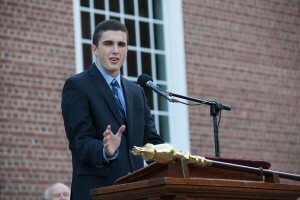 The Hagedorn Chair was established in 2006 by Robert Hagedorn ’76, and his wife, Meladi, who are the parents of Gregory Hagedorn ’06. Good afternoon. It is my privilege today to award the Hagedorn Chair to a member of the Williston faculty. This year’s recipient of the Hagedorn Chair is a passionate teacher whose dynamic and effective teaching style has been consistently on display since her arrival on campus in 1999. Her approach to teaching is characterized by her commitment to a philosophy of language acquisition that emphasizes the use of relevant, real-life situations encountered fully in the target language. Her classroom is always a hive of energy as her students are immersed in rapid-paced, imaginative, and purposeful activities. Frankly, it’s surreal to be chatting at a dinner without my mouth full of food, but I guess my mom finally got her way in terms of my learning something about etiquette. Anyway, I feel as if my convocation speech was a tad on the Darth Vader side of the force —Socrates, Success, Summing Up, etc. That’s why I now feel this neurotic compulsion to venture away from my dark side in an attempt to bring some balance to the universe. Fortunately, I didn’t actually sound like old, wheezy Darth earlier today, which, by the way, sounds a lot like Sameer’s snoring.